Vortex mixers are present in most labs around the world. They are used in any lab that handles small volumes of liquids in microcentrifuge tubes, as well as larger 15 mL or 50 mL tubes to homogenously mix those liquids. They are available with varying sizes, attachments and vortex speed ranges, to suit different needs and requirements. There are many different manufacturers of vortex mixers, but we will discuss some of the most popular models below. 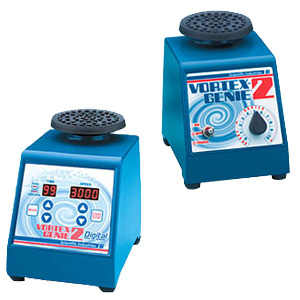 The Original Vortex Genie 2 is Scientific Industries’ most popular vortex mixer. It combines durability with ease of use for straightforward and reliable operation. This sturdy vortex mixer provides a variable low speed to high-speed function; offering you gentle to aggressive vortex mixing to suit all assay requirements. 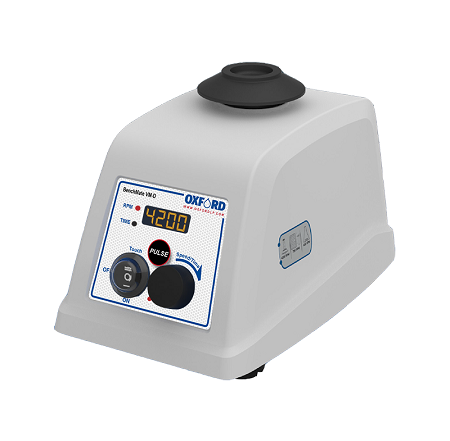 The tough and rugged metal housing, make the U.S. manufactured Vortex Genie 2 a long-lasting piece of laboratory equipment. It is easily recognized by scientists as the laboratory standard in vortex mixing. The Vortex Genie 2 model demonstrates unmatched performance and reliability. It is trusted by scientists to meet their vortex mixing needs in laboratories all over the world. Digital display, Programmable pulse mode feature, Built-in counterbalance for steady and safe operation, Orbital diameter of 4 mm. The Benchmark BenchMixer Provides Gentle and Rapid Vortexing. The BenchMixer allows for fast and easy vortexing of various tubes, including a large 50 ml tube. Durable and dependable, the BenchMixer is the solution to your vortexing needs. Powerful motor. Can accelerate from 200 to 3,200 rpm. Cold room and incubator comparability. The BenchMixer Vortex Mixer has an operating temperature range of +4 to +65°C. Q-Drive counter balance system. Provides smooth vortexing with minimal noise and vibration. Completely stable. The specially designed suction feet prevent the Benchmark BenchMixer from moving around. 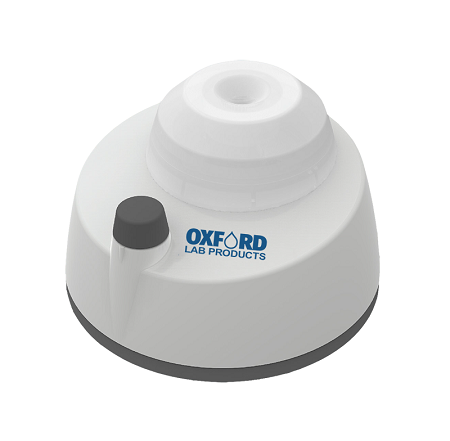 Oxford LP BenchMate VM-M Mini Vortex Mixer – Enabling Scientists to Perform Powerful Vortexing Anywhere in the Lab. With a 100 x 100 mm footprint and a 4500 rpm max speed, the BenchMate VM-M Mini Vortex Mixer from Oxford LP is the most powerful mini-vortexer on the market. The robust design and construction, with a die-cast aluminum base, ensures durability and long life of the product. Adjustable speed range from 2500 to 4500 rpm. Delivers set speed even under varying load conditions using microprocessor technology. Touch Operation – can handle plastic tubes of up to 30 mm diameter. Orbital diameter of 4.5 mm.